The B4EST consortium gathers 19 partners comprising public and private partners with cross-cutting complementary skills from 9 European countries (Finland, France, Italy, Norway, Portugal, Spain, Sweden, The Netherlands and The United Kingdom) and one international organisation (EFI). The aim of our consortium is to cover the most economically, ecologically or socially important forest tree species in Europe, which, in turn, requires coverage of a broad geographical region and the involvement of diverse range of experts. The B4EST consortium encompasses partners who are renowned leaders in their fields and have multidisciplinary interest and expertise to participate to various work packages. They also represent large networks of collaborators both academic and among forest stakeholders. INRA brings expertise in molecular, population and quantitative genetics, breeding theory, ecophysiology, pathology, entomology and forest ecology, wood sciences and economy of innovations. It manages extensive breeding populations for four species of the project as well as genomic facilities, phenotyping platforms and databases with permanent staff. It has a long history of participating to science / policy / management forums and interacting with relevant stakeholders. FR brings expertise in tree species and provenance suitability modelling, climate change integrated abiotic and biotic impact analysis on forests, forest ecosystem services modelling, forest management and planning simulations under climate change, ecophysiology, wood science, population and evolutionary genetics, quantitative genetics and breeding, forest science communication, and excellent project management. INIA brings expertise in molecular, population and quantitative genetics, pathology, entomology and forest ecology, wood sciences and economy. INIA has a strong involvement in the development of national breeding programs and regulations in collaboration with the Ministry of Agriculture, and have access to genomic facilities, phenotyping platforms and databases with permanent staff. It has been involved in many transfer activities to the forest sector. 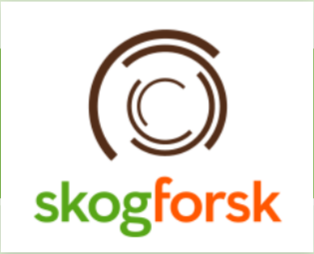 SKOGFORSK brings expertise in transfer effect modelling, optimization of breeding strategies, evaluation of genetic tests, methodologies for multi-trait, multi-site genetic analyses, large-scale testing and monitoring of tree performance, genomic selection, deployment strategies and dissemination of results. Skogforsk has an established network and long-term collaboration with climate researchers. LUKE brings expertise in population and quantitative genetics, wood sciences, pathology, forest economics, forestry management planning, and support tools for forest management at different levels of decision making. It manages extensive breeding populations for two species of the project as well as infrastructures for phenotyping and databases. It also has strong connections with forest stakeholders. EFI brings expertise in forest ecology and genetics, biotic risks in forests and ecophysiology. In addition, it is highly competent in simulation and modelling, and multi-criteria evaluation, and has experts working in the areas of economy, forest policy, project management and communications. It also has strong connections with forest managements and the forest industry. UU brings expertise in population genomics and evolutionary biology. The group is part of the Evolutionary Biology Centre and of the SciLife Lab, two world leading institutions in evolutionary biology and genomics, respectively. They have access to state-of-the-art genomic facilities and greenhouses and growth chambers and have a long history of cooperation with tree breeders in Scandinavia. UOULU brings expertise in population genomics, conifer genomics, bioinformatics, genomics of local adaptation and evolutionary genomics. UOULU has long experience in working with Scots pine and forest genetics in both national and international collaboration, and in close collaboration with tree breeders. 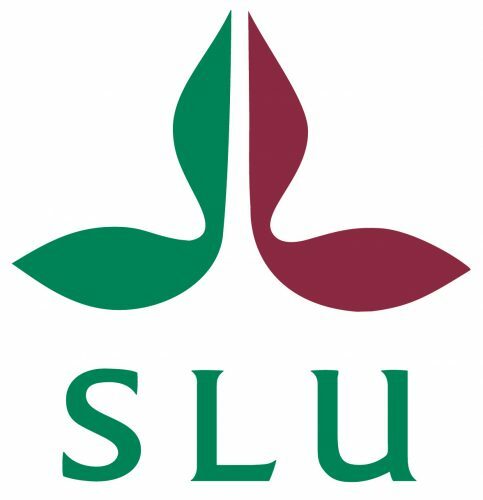 SLU brings expertise in quantitative genetics and genomics, population genetics, tree breeding, wood sciences and management skills. It conducts studies of breeding related issues for Norway spruce and Scots pine. It also has access to genomic facilities, phenotyping platforms and databases with permanent staff. It has a long history of participating to science and industry forums and interacting with relevant stakeholders. CNR brings expertise in population and conservation genetics of forest tree species, and more specifically in the study of the mechanisms underlying the maintenance of genetic variation and its adaptive potential, as well as their relationships with micro-environmental conditions and/or main environmental gradients. It manages genotyping and phenotyping platforms and databases with permanent staff. 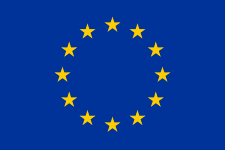 It has a long history of participation to EU projects. NERC brings a combination of national research infrastructure, including laboratories and field facilities and living experimental resources; expertise in ecology, population genetics and genomics; and experience in coordinating and participating in European and wider international collaborative research. It plays a leading role in many ongoing European projects and networks. WR brings expertise in analyses of provenance trials, in particular of growth, phenology, wood traits and dendrochronology in relation to environmental factors; molecular marker technology and breeding expertise and software in outcrossing crops with bi-parental populations (QTL mapping, GWAS), as well as expertise in population structure analysis; individual-tree modelling of adaptation and adaptive capacity. It has broad experience in stakeholder participation and organising science-policy interactions. CIRAD brings expertise in molecular, population and quantitative genetics, forest tree breeding, statistics and wood sciences. It manages extensive breeding populations for Eucalyptus species as well as genomic facilities, phenotyping platforms and databases with permanent staff. CREA brings skills and know-how on genetic, genomics, bioinformatics, conventional and advanced breeding, clonal selection, ecology, ecophysiology, silviculture and cultivation techniques, disease and pest control, wood sciences and technology. Research facilities and genetic materials (selected genotypes and parents, breeding population and progenies for specific traits) and expertise on conifers and poplars will be available for B4EST project. NIBIO brings expertise in quantitative genetics, population genetics, epigenetics, wood science and breeding theory. NIBIO also interacts with practical breeding, as well as policy makers and managers. UPS brings expertise in Eucalyptus genomics, cold tolerance phenotyping, gene network reconstruction, wood regulatory network, and wood phenotyping including lignin analysis. It has a long standing experience of collaboration with tree breeders including CIRAD and ALTRI. 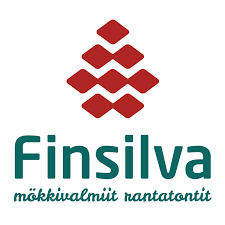 FINS brings expertise in large-scale forest management and forestry planning, and provides a stand-level and landscape level platforms for testing and assessing novel measures and tools developed in the project in practical forestry. ALTRI brings technical and practical experience in running breeding programmes on Eucalyptus globulus as well as in deployment to its own forests and other forest owners. It has a life experience in development activities in various forest fields and direct implementation of results through its own structure. It has a culture of fast decision and pragmatic approach to challenges. Being a vertical integrated company has a clear view on market needs and requirements. It also has experience in handling inner characteristics of its products and customer requirements. IT brings management and dissemination expertise on EC-funded projects and on technology transfer in innovative technologies arising in the fields of agronomy, food and environment.